True love's symbol... 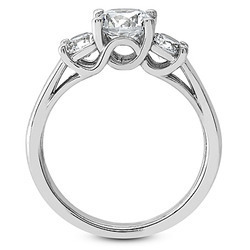 This lovely three-stone diamond engagement ring has two round cut diamonds with total 0.70ct. 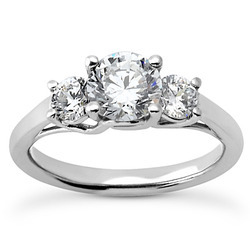 This ring can be set with a 1.00ct round stone. 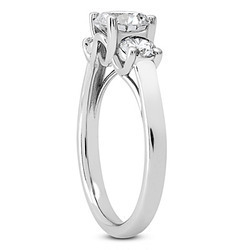 This engagement ring is available in 14k, 18k, platinum and palladium.